Helping you make the most of your workspace! From a single chair or desk to a complete office refurbishment. We believe a well-designed office environment has a significant impact on workflow and productivity, and conveys a positive impression to all who use it. 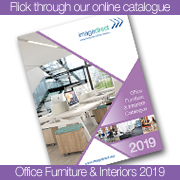 We can help make it happen delivering a high quality range of furniture across all budgets, backed by a specialist range of support services. From interior design and space planning, project management and installation, we can provide the complete solution.